The striking border triangle building is the result of an architectural competition to which Swiss, German and French architects were invited in 1990. 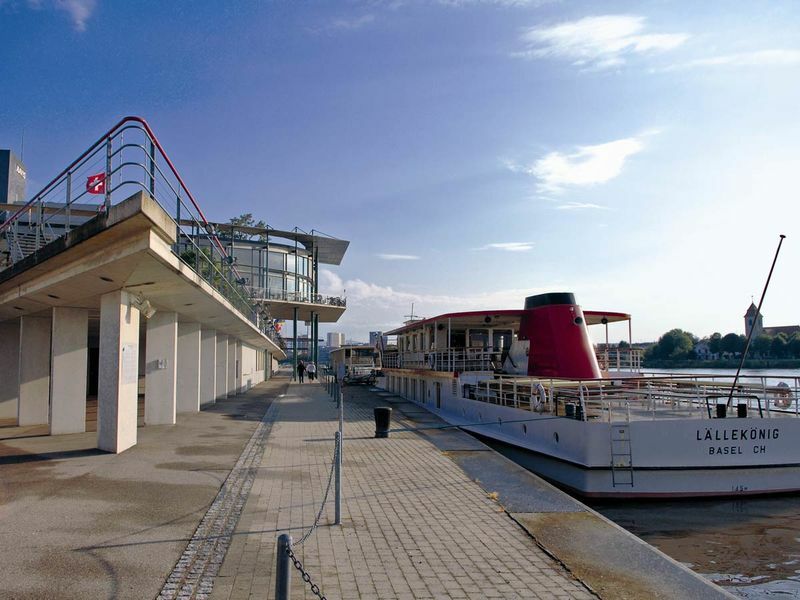 On the first floor of the futuristic building are a bar, an event room and a terrace with a border-spanning view of the Rhine. In summer, the "sand oasis" on the ground floor invites guests to relax. The beach area with its sand, palm trees and cocktail bar makes for a holiday atmosphere. An ideal way to discover the border triangle is a harbour tour with the Basler Personenschifffahrt cruise company. Or explore the Rhine in and around Basel on a “Rhytaxi” water taxi.